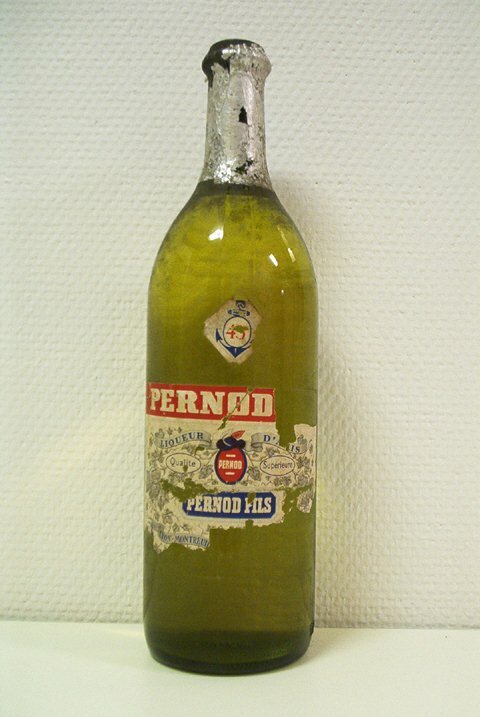 After the absinthe ban in France in 1915, Pernod moved their absinthe production to Spain. In France, they turned to increase their production of absinthe substitutes. That led to this... Not much like absinthe. At the same time as this was being produced in France, a spanish distillery had licensed the rights to make Pernod Absinthe, in Tarragona. That makes this quite interesting, since there are lightyears between the two products. This pastis is no where near the absinthe from the same time. So, my first thought was - how would this vintage Pernod pastis compare to modern Pernod pastis? This called for a side-to-side tasting. 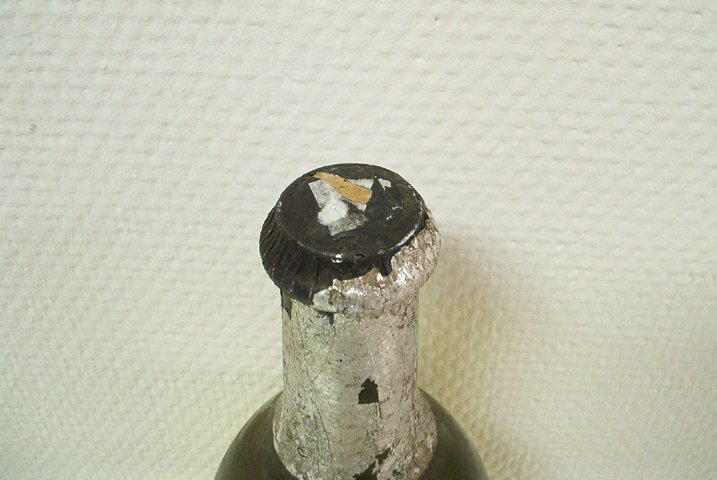 I opened the bottle, and the smell reminded a lot of modern pastis. Or, should I say it was identical? The only difference was that it smelled a little more toned down on the anis, compared to the modern one, however I think that is due to the ageing. I poured some in a glass, and put that next to a glass of modern Pernod. It looks exactly the same. No difference what so ever. Final step before tasting is ofcourse to add water. 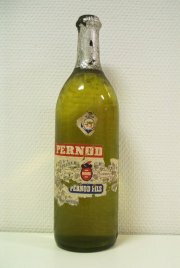 The 1955 Pernod Pastis produced a louche identical to the modern. And yes - they taste just the same. There is virtually no difference between the two. Am I dissapointed? In a way maybe, but on the other hand it's quite nice to see that the product of today is just as "good" as the product 60 years ago. Why would they change a winning concept? The dissapointment lies in the fact that I had hoped for this to be at least a bit different from what we can buy today.